Lynk & CO's has sold more than 6,000 units of the 01 since it went on sale last November in China. HONG KONG -- Volvo Cars could build cars for the Lynk & CO brand in Belgium and may also extend its European service and logistics infrastructure to the new brand, Volvo CEO Hakan Samuelsson said. Zhejiang Geely Holding Group started selling Lynk & CO's 01 SUV in China about two months ago for a base price of 158,800 yuan ($25,000). Volvo could consider offering its factory in Gent, Belgium, to build the model if and when the Chinese company wants to expand to Europe, Samuelsson said in an interview here on Wednesday. Both Volvo and Lynk & CO are owned by Zhejiang Geely. 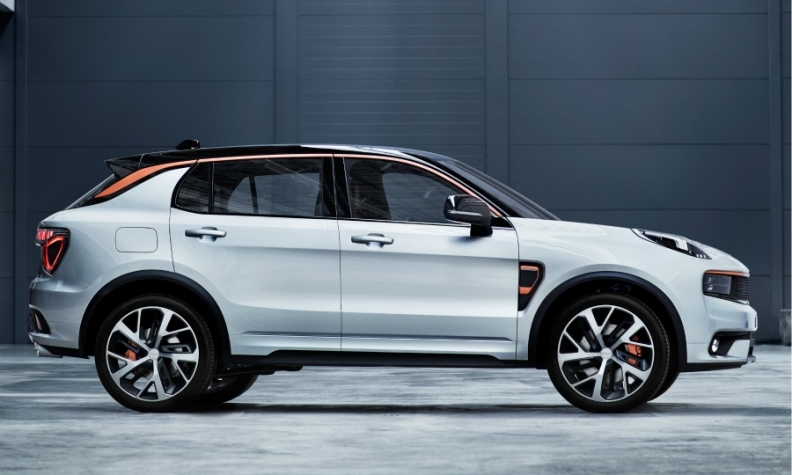 Lynk & CO has said it plans to start selling the 01 outside of China in mid-2019, starting in Europe. A Made in Europe stamp would boost the ambitions of the Chinese brand as it takes on global automakers such as Volkswagen Group, which has dominated the China car market for a decade. After years of selling lower-priced models at home, Chinese automakers such as Geely and BYD are increasingly turning their attention to the international market. "If and when they decide to go global, to Europe, possibly the U.S., we can of course make that entry more credible," Samuelsson said. Lynk & CO is studying the feasibility of making the cars in Europe, a Geely spokesman said. Alain Visser, senior vice president of Lynk & CO, said in November that the brand is looking at global manufacturing opportunities with Volvo. Zhejiang Geely bought Volvo from Ford Motor in 2010 and spent more than $11 billion to modernize its production facilities. Last year, Geely bought almost 50 percent of Malaysia's Proton Holdings and 51 percent of UK sports-car maker Lotus. Geely owner, the Chinese billionaire Li Shufu, has ambitions of making the company into a global player. As part of that plan n 2016 he unveiled Lynk & CO, a brand that targets young customers. The brand's 01 is a rival to the cheaper and more popular $14,000 Haval H6 from Great Wall Motor, China's biggest SUV maker. Great Wall is also seeking to move upscale with its Wey brand, which sold 86,427 units in 2017. Volvo owns 30 percent of Lynk & CO, while Geely Automobile Holdings holds 50 percent. The rest is with Zhejiang Haoqing Automobile Manufacturing, a firm controlled by Zhejiang Geely. Lynk & CO shares the production line with the Volvo XC40 in a factory in Luqiao, which is 350 km south of Shanghai. Lynk & CO's has sold more than 6,000 units of the 01, its first model, since it went on sale last November in China. The compact five-seat SUV has in-car Internet connections that allow users to open the car without a physical key and share the vehicle with a phone button. Volvo's vehicle sales in China last year rose about 25 percent to 114,410 units, and the automaker's biggest market will "continue to grow fast" in 2018, Samuelsson said, without elaborating.